The sun rises, the rooster crows, and life on the farm sweetly awakens! 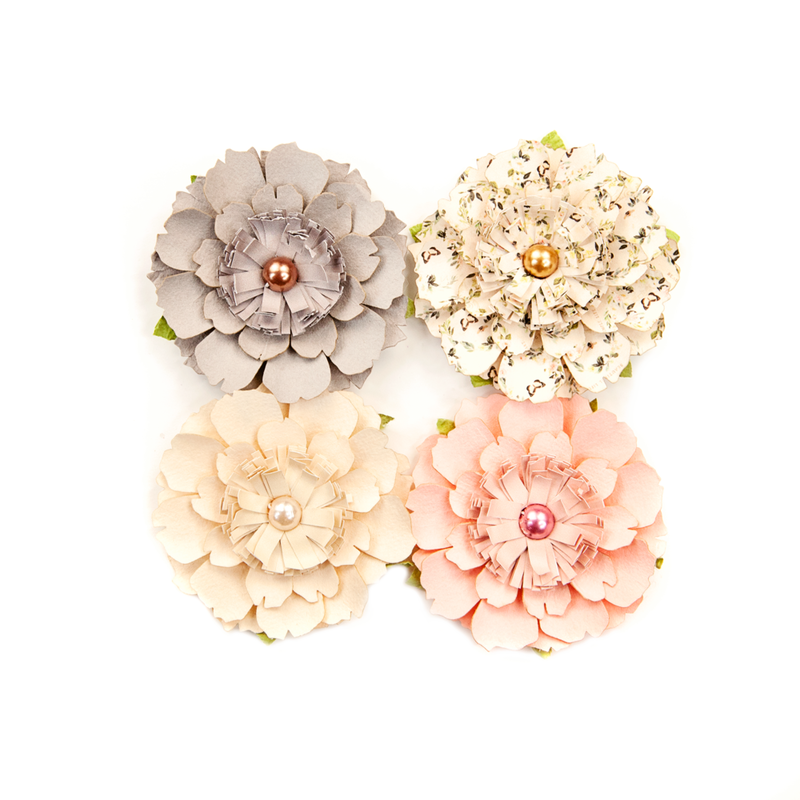 Wrapped in a fresh springtime color palette, Frank Garcia’s newest line, SPRING FARMHOUSE, features gorgeous imagery, creative accessories, and beautiful new flowers! 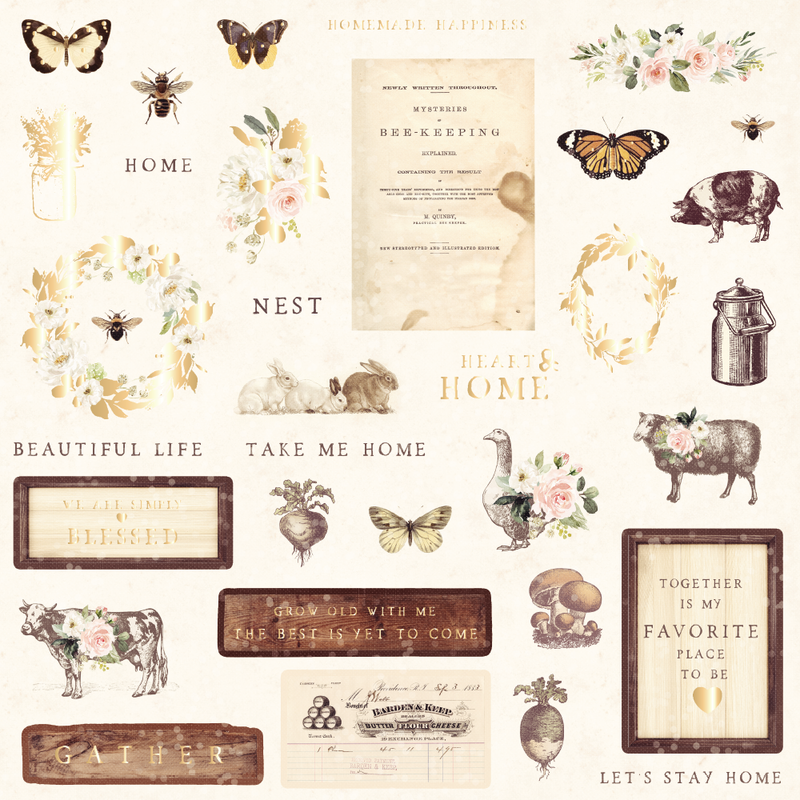 Bring a little fresh farmhouse to your creative world with Frank’s gorgeous new homespun line! 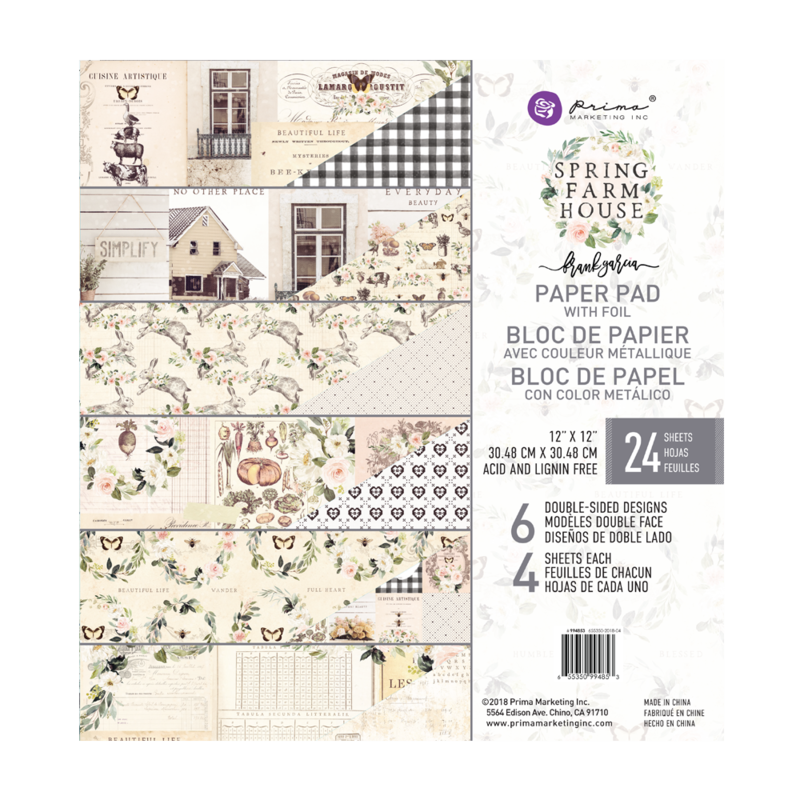 Spring Farmhouse will be shipping in early December! 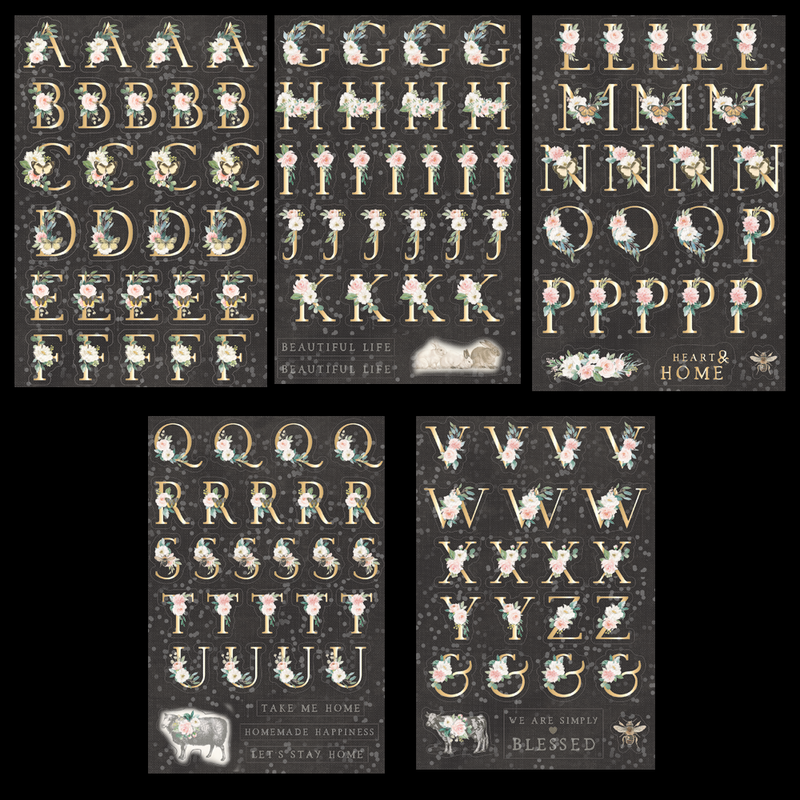 Six, double-sided, patterned papers include MATTE GOLD foil accents and the most beautiful imagery are available for the FRESH FARMHOUSE line! 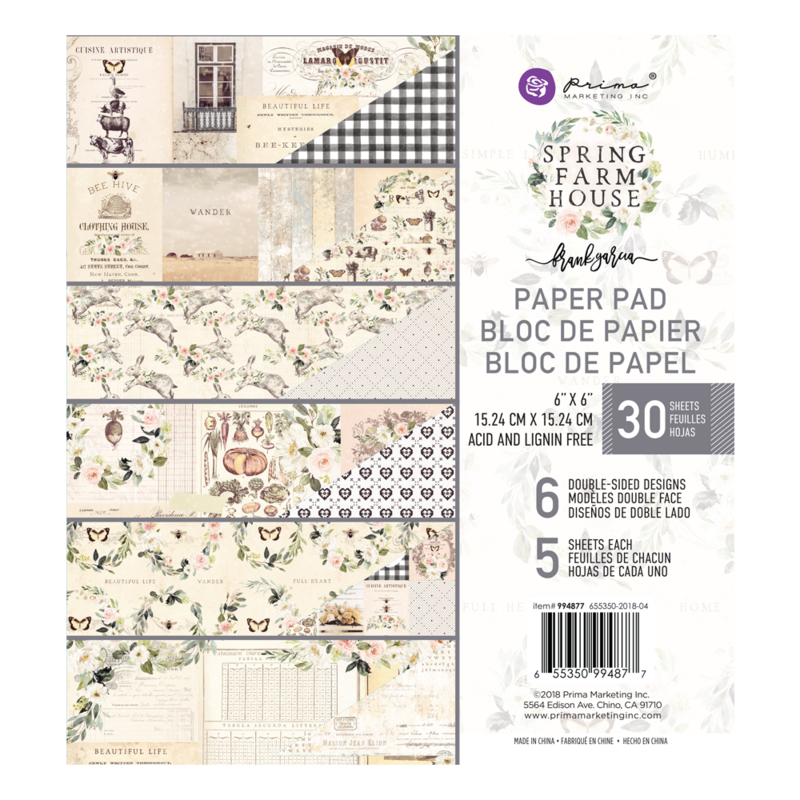 Paper pads include 12”x12” (with foil accents), 8”x8”, 6”x6”, A4, 4”x6”, and 3”x4”! See the gallery below for a peek at all papers! Spring Farmhouses has fresh new accessories like these gorgeous Wood Spools and lovely foiled Alphabet Stickers! 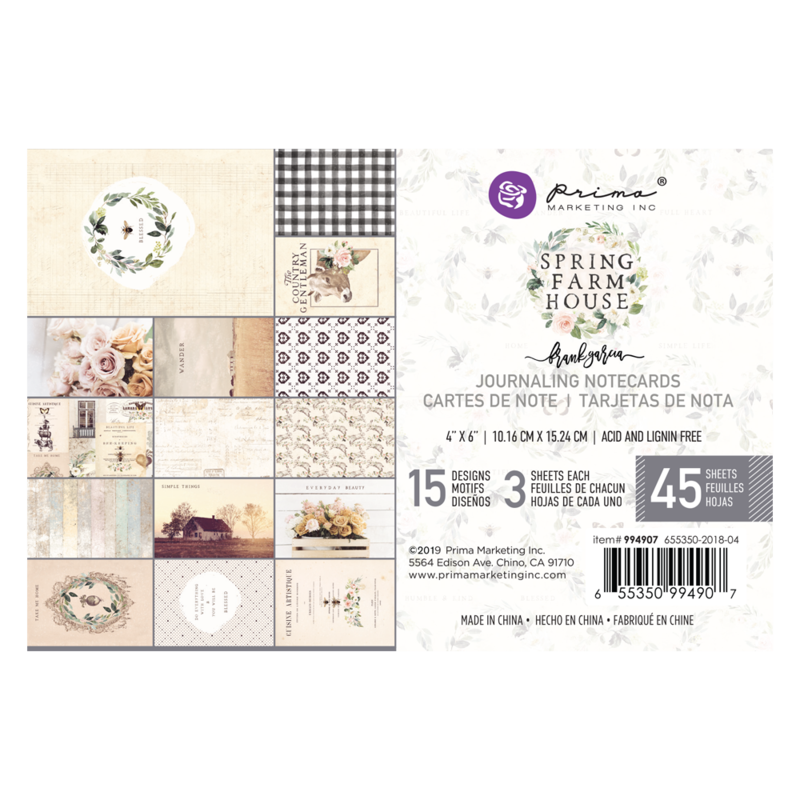 Look for Say It In Crystals, Ephemera, Chipboard, tickets, and more, all beautifully coordinated for this gorgeous new line! 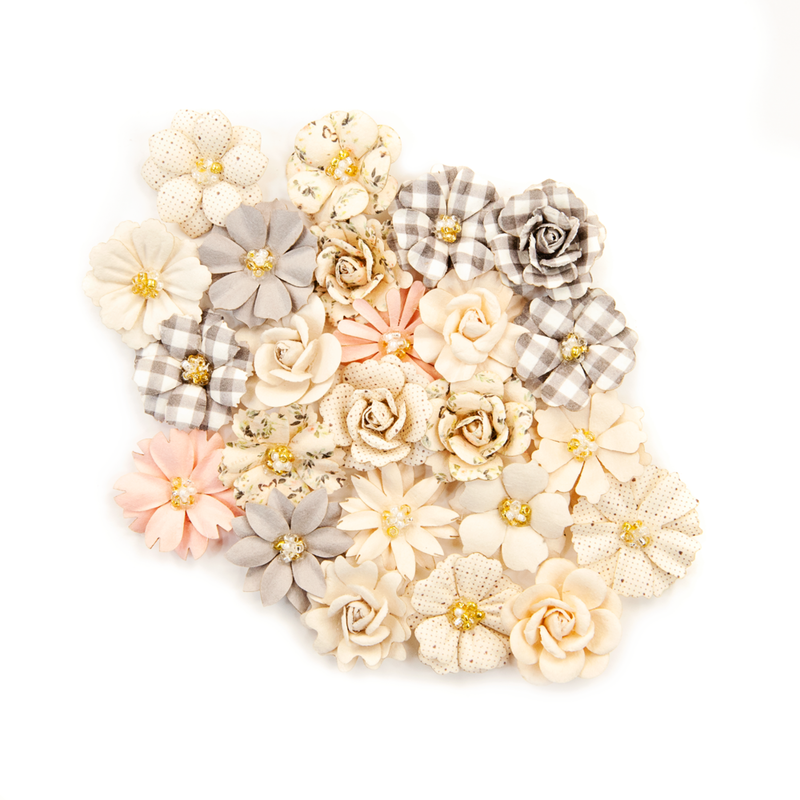 Fifteen handmade, boutique-quality flower styles are here for your papercrafting enjoyment! (Look at that adorable eyelash center above and the trendy buffalo check pattern below!) Watch all of the beautiful varieties in our gallery! 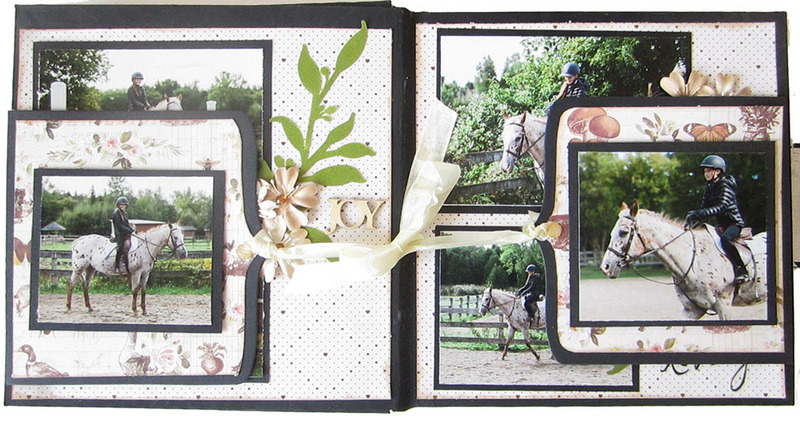 Marta chose to frame her gorgeous layout with the buffalo check paper, lending a stunning contrast to all of the springtime flowers, fluttering butterflies, and her sweet little girl! 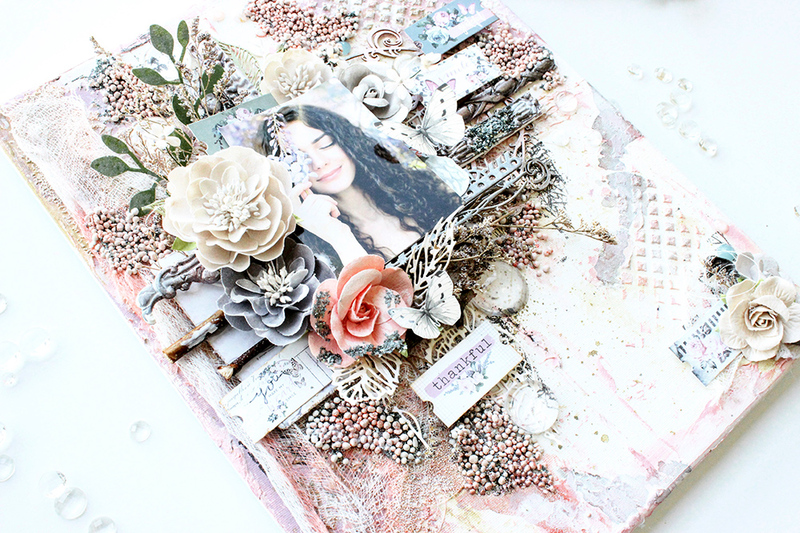 Mallika chose the sweet side of Spring Farmhouse to create this beautifully ethereal canvas! 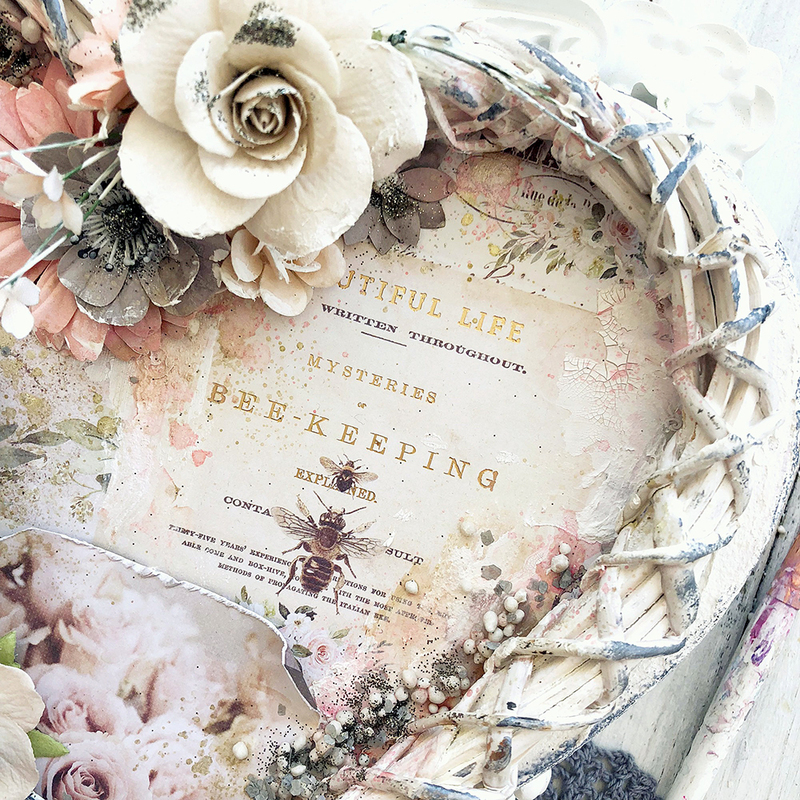 Layered with lots of mixed-media elements, she kept it exquisitely soft and serene, mixing the papers, tickets, and flowers perfectly. The buzz is that this new line by Frank could be the best one yet! 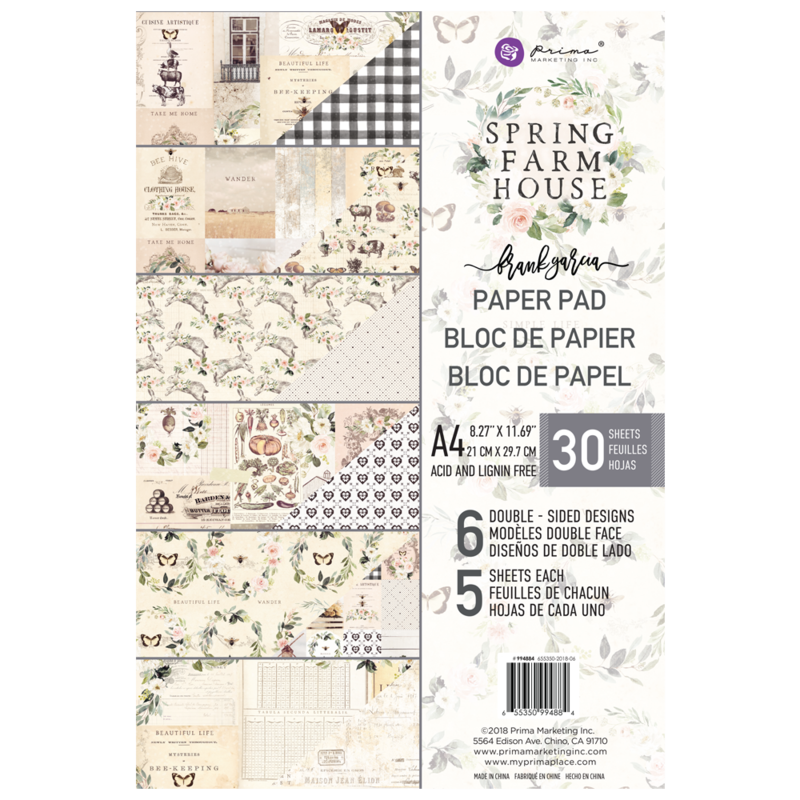 Leave us a comment below if Spring Farmhouse is your favorite and be sure to check out the media links below for extra projects shown online only! Frank will be showing off this line on our Facebook page in a few hours so be sure and hop on over! Here are links to the collections as we reveal them!